As it stands now, the global packaging market accounts for about $800 billion. And this is a market that is showing no signs of slowing down. Estimates have the market growing at an annual rate of 4 percent, putting it on pace to reach about $975 billion in 2018. But the key cog – the X-factor that makes this market tick – is none other than the equipment that helps create the packaging and fill the package with product. At Bid on Equipment, we list lots of used packaging equipment – all of which are options to adequately get the job done in your facility (and at a fraction of the price). 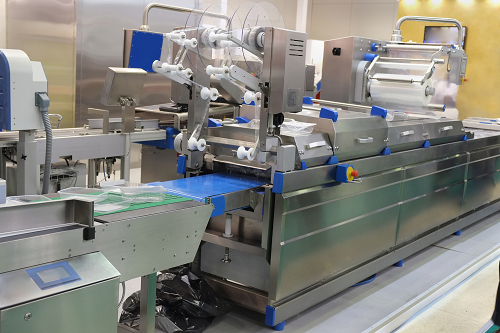 There’s no question that packaging equipment is expensive, and spending tens of thousands – or even hundreds of thousands of dollars – for a new pouch making machine or vertical form-fill-seal machine might not be in the current budget. That’s where bidding on a used piece of equipment makes sense – you’ll get like new quality at a used price. So whether you’re a converter, printer or co-packer, and whether you’re in the business of flexible packaging or conventional rigid or corrugated packaging, you’ll be able to find good value from our vast selection of packaging equipment. Start browsing – and bidding – now. Or if you’ve got equipment, you’re looking to unload and sell, we can handle that too. For additional questions and more information on our packaging equipment and policies, contact us today. Search Bid on Equipment for all you packaging needs!